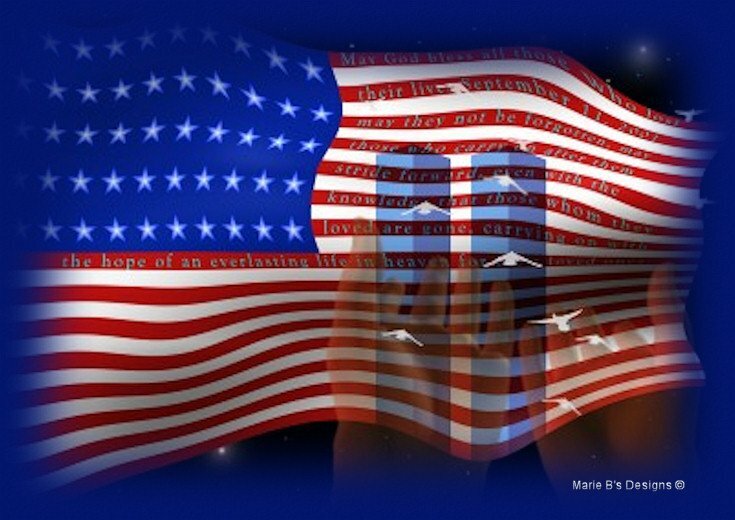 Almighty God, the events of September 11, 2001, are indelibly inscribed in our memories. We looked on with horror at the terrorist attacks of that fateful day. But we looked with love and pride to see the awesome acts of courage by the many ordinary people who sacrificed themselves to prevent further death and destruction. 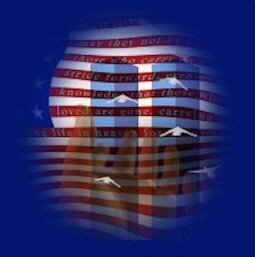 Help us to never forget what it means to be Americans - a people endowed with your abundant blessings. Help us to cherish the freedoms we enjoy and inspire us to stand, with courage, united as one Nation in the face of any adversity. Lord, hear this prayer for our beloved Nation under You, our God. Amen.